The US indices were volatile on Wednesday, with an initial 25 point advance for the S&P500 translating into a 20 point or 0.86% loss by the close of trade. Trade tensions was the main reason for the volatility, although there was not too much in the way of news flow on this front. The narrative hasn’t really changed but investors are increasingly more nervous. The major US indices closed lower on Wednesday. The tech-heavy Nasdaq led the way south, falling 1.54%, while the S&P 500 lost 0.86% and the Dow declined 0.68%. The small-to-mid cap and more domestically focused Russell 2000 index fell 1.68%, while the trade-sensitive Dow Transports slipped 1.37%. Our view is that many of the threats made by Trump are not going to come to fruition, but the steady flow of “tweets” is unsettling investors, and unquestionably this is translating into higher volatility for financial markets. Near term, the S&P500 should be supported at 2700, which is towards the lower end of the current trading range, with 2800 marking the top. 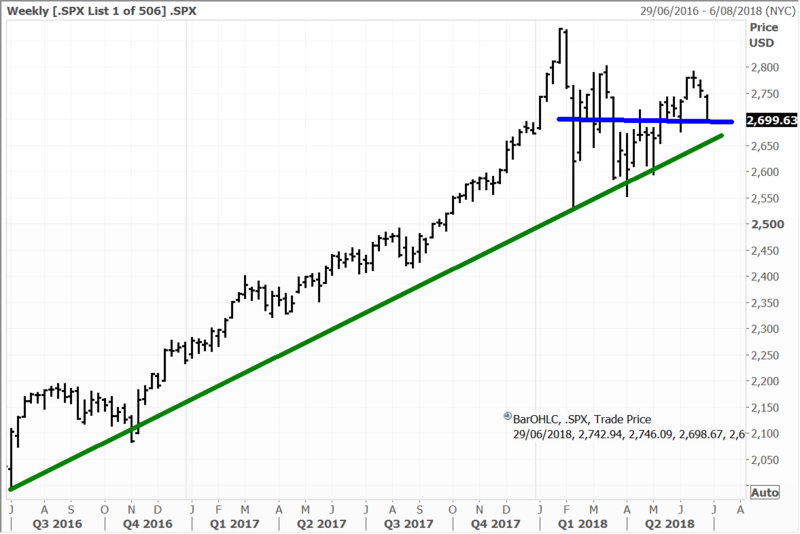 As we head into the reporting season, I still think the US indices are going to have a push higher, driven by a strong reporting quarter, but we need to see tensions subside on the trade front. On the corporate front, the US Justice Department approved Walt Disney’s proposed $71.3 billion deal to acquire most of 21st Century Fox’s media assets, with the proviso that Disney sell Fox’s regional sports networks. That is a win for Disney, giving it a leg up in the battle versus Comcast for the assets. It means Disney could keep the Fox assets most important to its strategy. Disney (-0.3%) shares were little changed, while Fox shares were up 2.5%. Comcast (-1.5%) reportedly hasn’t yet given up and is trying to find ways to access more capital to improve its offer. The company might find that tough without impacting credit ratings substantially, as it was already the more stretched of the pair with its previous offer. Baidu shares lost 3.1% on Wednesday even as the dominant Chinese online search giant said its board had approved a $1 billion share buyback program to take place over the next year, to be funded from existing cash. All the Chinese ADRs have been hit in the US. In Hong Kong energy shares fared best, tracking energy prices higher, while technology and property were hit relatively hard. 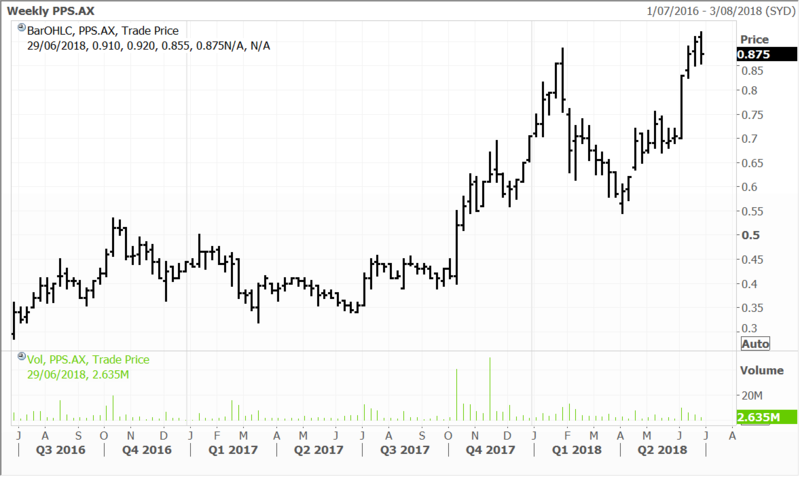 Oil and gas supermajor CNOOC gained 3.2%, while social media and video gaming giant Tencent Holdings slipped 2.2% and lens maker Sunny Optical fell 3.9%. The Macau casino operators were also under the pump, with Sands China, MGM China and Wynn Macau down 1.5% to 5.2%. Some big names in the benchmark index went ex-dividend, also weighing on the index. Japan Tobacco, Canon and Bridgestone fell around 3%-4%. Bucking the modestly downward trend on the day were Sony and local energy giant Inpex Corp, rising 2% and 1.5% respectively. In Australia the market finished relatively flat after, with sentiment ebbing and flowing during the session. The ASX200 finished the day down a marginal 1.7 points at 6,195. Resource stocks were strong, with the oil sector not surprisingly well bid after the rally in crude prices over the past few days. Oil Search was 2.2% higher, while Woodside lifted 1.4%, and BHP rose 1.8%. We should see further strength here again today, with the oil price rising again overnight. Praemium shares closed up 2.3% at 88 cents on Wednesday. Investors need to appreciate that in addition to being relatively thinly traded, Praemium has a relatively high beta (correlation) with the market due to a key driver of earnings (and valuation) being funds under administration. The company, as with others in the space, also has a high degree of operating leverage. If we are right that the ASX is going to push towards our target in the second half of this year, then Praemium and the other platform providers we have exposure to (HUB24, OneVue) should do well. The same argument applies to the broader financial service space, including companies such as IOOF and Fiducian. We hold all these stocks in the managed account portfolios. With Praemium it is also worth noting that inflows have been strong, even when the markets have been weaker, and this was evident in the March quarterly report. The June update will be out in about two weeks. A commitment to innovation has also seen the company stay one step ahead of some peers, with the mandates continuing to flow. A relationship with Morgan Stanley was broadened earlier this month, while the recently launched International SMA should be a point of difference versus some peers and also underpinning further gains in Australia. Another point of difference has been the company’s exposure offshore, with the UK business also making robust progress. Praemium’s wings have spread even further with management announcing this week that they have launched the Smartfund range into the UAE after gaining the necessary regulatory approvals. One of the largest banks in the region, Mashreq Bank is acting as the local promoter, and has a strong presence in countries such as Egypt, Qatar Kuwait and Bahrain. This is a very positive development in my view. Disclosure: The Fat Prophets Global Contrarian Fund declares a holding in: Walt Disney, Baidu, CNOOC, Sunny Optical, Sands China, MGM China, Wynn Macau, Sony, Inpex Corp, BHP and Praemium. Next PostNext A tactical retreat?